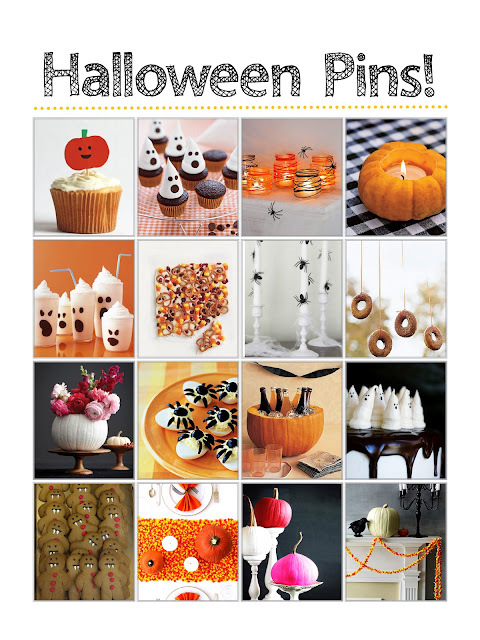 Party Prep: Halloween Party Ideas, Plus A Mini Announcement! / Hey, EEP! Party Prep: Halloween Party Ideas, Plus A Mini Announcement! Hi all! Do you set mini goals for yourself? I've been trying to do it more often—it helps me stay motivated. Anyway! The post-it on my computer that says "Reach 300 Pinterest followers this fall" and guess what? We're there! Thank you all for your wonderful support, you really know how to make a gal feel all sparkly. The funny thing is, my most popular board is not at all what I thought it would be: Clothing! Is that something you'd like to see more of on the blog? I definitely have a distinct look when it comes to the outfits I love and wear, but I never thought it was something people were interested in. What do you think? I set goals for myself a lot :) And I loooove pinterest! Fabulous! It really helps, right? LOVE your Pinterest boards—definitely following 'em now. The "Pretty Pictures" are so gorgeous!